Maximum occupancy is for 2 person. A ground floor room with a double bed and small ensuite. The room has tea and coffee making facilities, electric blanket, hair dryer and Freeview TV with four channels. Maximum occupancy is for 2 person in a room with a double sized bed. All guests can enjoy a complimentary ‘Picton breakfast’ which includes fruit, choice of cereals, yoghurt, juice, tea, coffee, toast and spreads. Wheat & gluten-free options are available. 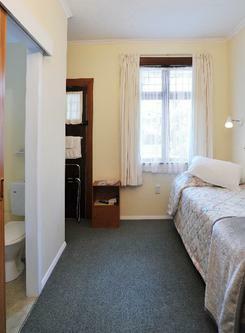 A ground floor room with a queen bed and small ensuite. All guests can enjoy a complimentary ‘Picton breakfast’ which includes fruit, choice of cereals, yoghurt, juice, tea, coffee, toast and spreads. Wheat & gluten-free options are available. A larger room with a Super King bed and a small ensuite. The room has Free view TV (four channels), tea and coffee making facilities, electric blanket, and a hair dryer. Maximum occupancy is for 1 person. 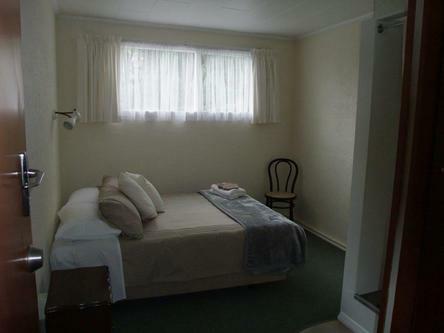 A ground floor room with a Super king single bed and a small ensuite. The room has tea and coffee making facilities, an electric blanket, a hair dryer and Free view TV with four channels. Maximum occupancy is for 1 person in a ground floor room with a king single bed and a small ensuite. All guests can enjoy a complimentary ‘Picton breakfast’ which includes fruit, choice of cereals, yoghurt, juice, tea, coffee, toast and spreads. Wheat & gluten-free options are available. 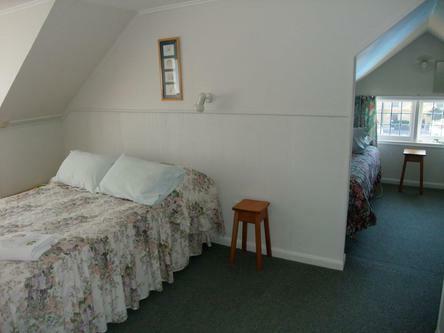 A larger upstairs room with a double and single bed suitable for 2 guests. The bathrooms are shared with the upstairs rooms and the room has tea and coffee making facilities, electric blankets, bathrobes and a hair dryer. All guests can enjoy a complimentary ‘Picton breakfast’ which includes fruit, choice of cereals, yoghurt, juice, tea, coffee, toast and spreads. Wheat & gluten-free options are available. 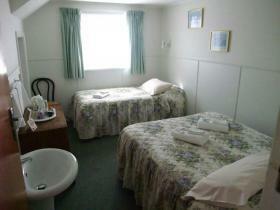 1 x single bed and 1 x double bed with private but shared shower rooms and toilets. Price is for 2 x people. Extra $25.00 per head. An upstairs room with a double and single bed. 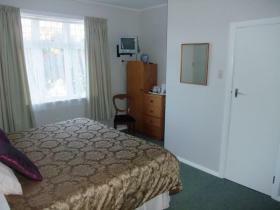 1 x double bed and 1 x single bed in a Motel unit self contained.Price is per couple. Extra person $25.00 per head. Guests are welcome into our dining room for our continental breakfast for a price of $15.00 per person. Built in 1920s for a local Picton doctor, the homestead was extended in the 1960's to become a private Hotel. Many of the original features remain and the property has Heritage protection cover on the front facade of the building. 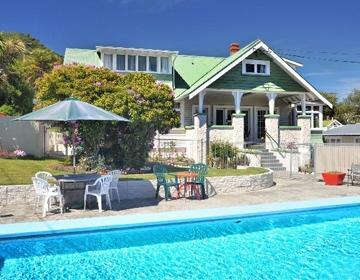 Picton House B&B and Motels is centrally located in Picton just a few minutes stroll, less than 200m from the picturesque waterfront overlooking Picton harbour and the town centre. 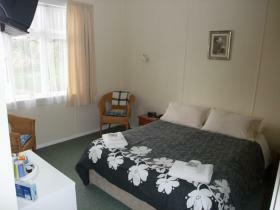 - Rooms with super-king, queen, double, twin and single beds available.Motels are self catering. 1x dbl 1x sgl bed. - Suitable for groups of up to 18 people, twin share and 12 in our Motels. We have ground-floor rooms with TV, small ensuites, hairdryers, heaters, electric blankets and tea/coffee-making facilities with a mix of super king, queen, double, twin and super king single beds. Our 5 upstairs rooms share the first floor private bathrooms. All rooms come with hand basins, hairdryers, heaters, electric blankets, tea/coffee-making facilities, bath robes and a mix of double, twin and super king single beds. Our Motels have 1 x dble bed and 1x sgl bed , a small lounge, kitchen and bathroom. Sky tv. Free Wifi free parking.Our Motel guests are welcome to come into the B&B for breakfast for a small fee of $12.50. The breakfast room is situated adjacent to the guest lounge, where guests can enjoy a complimentary ‘Picton breakfast’ which includes fruit, choice of cereals, yoghurt, juice, tea, coffee, toast and spreads. Wheat & gluten-free options are available. We have free off street parking available behind our buildings . Remember others will also use this space park so everyone can fit. 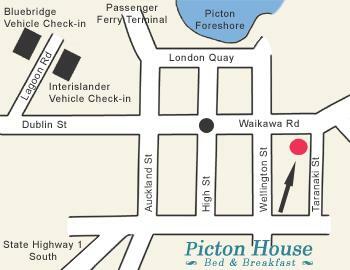 We are only 200m from the High Street and waterfront area so a stone's throw from all Picton has to offer! Please click here for a link to Google Maps and directions. Our property can cater for groups of up to 18 guests in our B&B and 12 in our Motels so please contact us directly for more information. The latest we can check guests in is after the last InterIslander ferry which gets into Picton at 9.30pm. We will not accept bookings after 10pm . Please note that we do not provide any self catering facilities in our B&B . Our Motels are self catering. Payment is required on arrival.We charge an extra 3% for all credit card transactions. We require a minimum of 24 hours notice to cancel or change a booking. Inside of 24 hours cancelations will incur 100% cancellation fee. Office Hours are 8am to 10pm. No checkins after 10pm. Sorry but we do not accommodate children under the age of 6 years. Please advise us when booking how you are travelling and your estimated arrival time at Picton House B & B and Motels.